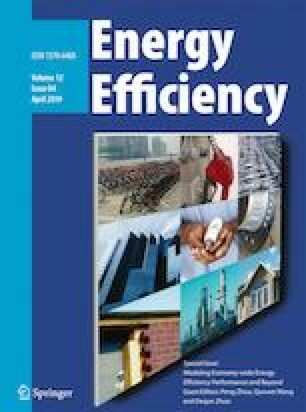 The energy efficiency of heating systems has become a critical concern for academic study and public welfare worldwide. Developing a comparable measurement tool among various residential space heating systems can offer policy-makers a benchmark for monitoring efficiency, guide them in setting appropriate energy conservation goals and promote overall efficiency improvements through heating system transitions. In the present study, we establish a framework to accommodate heterogenetic space heating systems and model the energy efficiency for performance assessment. By taking the heating area and heating hours into account, two energy intensity indicators are developed. Data from the Chinese Residential Energy Consumption Survey (CRECS) is used to examine the energy intensity for Northern and Southern residences. Our results show opposite findings from other studies, and the interpretation is presented. This study is supported by the National Natural Science Foundation of China (71622014, 41771564) and Ministry of Education of China (16YJA790049). ChinaDaily. Debate: Heating system. 2010; Available from: http://www.chinadaily.com.cn/thinktank/2010-11/22/content_11584833.htm. CRIENGLISH.com. The Annual Debate on Central Heating in Southern China. 2015; Available from: http://english.cri.cn/12394/2015/01/29/3521s864167.htm. People.com. Special Issue on District Heating in South. 2014; Available from: http://finance.people.com.cn/GB/8215/356561/373167/. Zhang, N. (2013). Debate on heating in Southern China. China Energy Journal (in Chinese), 2, 84–89. http://news.hexun.com/2013-02-18/151202506.html. Accessed 9 May 2018.